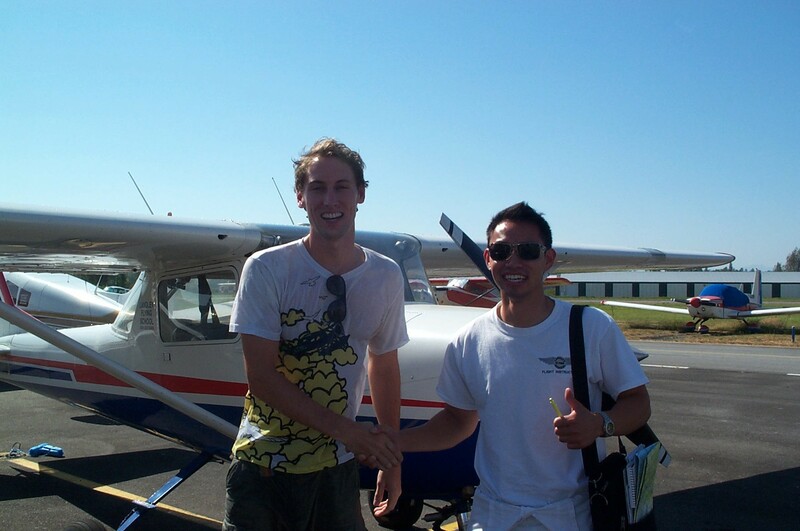 Alex Close with his Flight Instructor, Nam Vu. 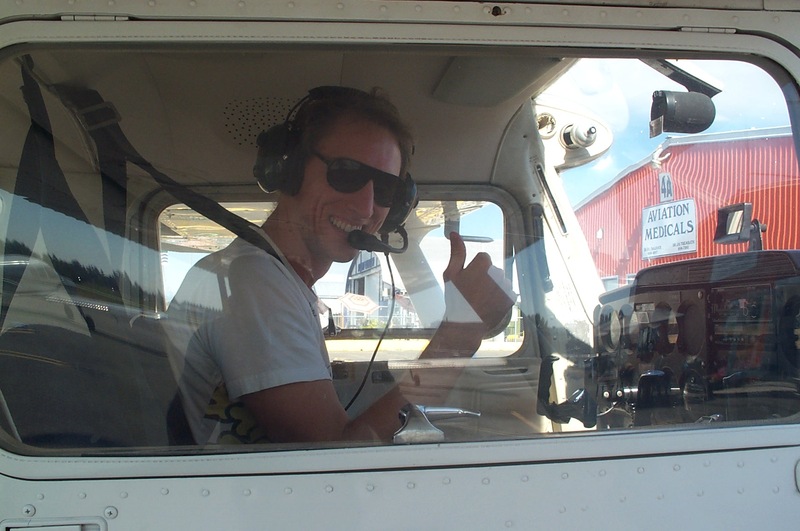 Alex Close in the cockpit of Cessna FPRT after completing his First Solo Flight on July 27, 2010. Congratulations also to Alex's Flight Instructor, Nam Vu.